What happens if you plan to write a post on a film that you have been sent to, but find yourself at a loss for words? What happens if the film you have seen makes you think not only of the actual film but about what cinema is and can be? How can I put everything (and all this nothing) that is in my head into words? Last year, I wrote an article on Straub-Huillet and pondered what “cinema” really meant. Does cinema necessarily mean moving images? Does it necessarily mean a progression of narrative? I came to the conclusion that the definition of cinema could and should be much wider than is sometimes the case. Phantom Islands, which will premiere next week in Ireland, also asked me to consider cinema rather than a single film. Rouzbeh Rashidi has created an experiential film, rather than simple a film per se. Regardless of what I’m going to write here, it won’t allow you to actually feel what the movie does to its audience. Rashidi’s work is complex, episodic, mysterious. It is asking you to think, to reflect and to be with him on this journey to Phantom Island. A physical journey, maybe. But, most important of all, I found that Phantom Islands is a journey through the mind, through the mind’s eye, perhaps even through yourself. There is something that permeates the entire film and that didn’t let me go. It was Rashidi’s decision to blur most images to varying degrees. No image is fully clear. Neither is it completely blurred. Rashidi plays with degrees of masking, something that gives Phantom Islands a feeling of being exactly this: a phantom. The film, the characters, the scenery, even the music – all of this has a strangely unreal, surreal feeling. As if a ghost creeps up on you without it being a horror film. As if you dream. As if you merely imagine things in your seat instead of watching something that has been created for you to see. It is as if Rashidi puts mind images on screen. Phantom Islands is not a film as such. It is a collection of mind images, sometimes mere flashes of thoughts, sometimes more complex thoughts that take time to develop. There are several instances in the film, when Rashidi uses quick cuts. The cuts come at an interval that is close to a blink of an eye. A bit longer than that, but still short enough to allow a comparison to my blinking eye, my blinking mind’s eye. This way of cutting made me believe that what I saw was happening in my head. It was a story that played out in my mind. I was the one who blurred the images because I didn’t have clear recollections of the past. This, too, is Phantom Islands: a blurring of the lines between what is and what isn’t, between what is and what has been. The film works like memory: it remembers, but it also forgets. It distorts, it blurs. It makes sense, and it doesn’t. What often remains are images that you’re baffled by, a narrative element that you try to piece together to form an entity. What do we do to piece memories together? What do we do to keep a record of the past? We take photographs, one of the small but very important elements in Rashidi’s film. The woman protagonist takes polaroid photographs, interestingly showing the photo towards the camera so that we can observe how the polaroid slowly develops into a photo, a photo that nevertheless never really clears up. In the past, photography has been associated with death. Photographs as arrested images, as “killing” something in order to keep it. The photographs the woman holds in her hands appear to haunt us, them, the viewer when s/he walks home. It is one of those uncomfortable situation that makes you wonder whether what you see is not perhaps something paranormal. Here it is once more: the phantom. It is this very nature of Phantom Islands that asks the viewer to engage in the process of filmmaking. Tarkovsky famously said that a good film should never be finished at the end of the editing process. On the contrary, it should start a new life once it is viewed by an audience. This is precisely what’s happening in and with Phantom Islands. Rashidi hasn’t finished the film. We are the ones who finish it in our heads, both while viewing the film and after. Through the film’s specific aesthetics, Rashidi positions us as the main actor/actress. He makes us believe that what we see happens in our mind. He tricks us, and in so doing, creates a very powerful experimental film that I would like to see again and again, because I know that there is so much to see, so much to discover, to explore. So many questions to ask, so many answers to give. After a rather long break from writing due to health reasons, I’m trying to embark on finally writing something about that book I bought last year, which intrigued me with its title. My avid readers might remember just how keen I am to link painting (or static art in general) to Slow Cinema. Not because I think that they’re the same. They cannot be. They each have their individual characteristics that sets them apart from the other. But there is this use of empty frames, of static frames, of little to no dialogue in slow films that has always reminded me of standing in a gallery in front of a painting, contemplating the scenery I see in my own time. Like almost all French books I have so far bought for reviewing on this blog, L’art du vide (2017) is the result of a colloqium on the subject which united scholars and artists alike. The book contains chapters on paintings, drawings, even animation films and one chapter that I really enjoyed titled “The dimension of absence in contemporary art”, written by Nadia Barrientos. Some of you might know the works by Jean-Luc Nancy, French philosopher, who also wrote a preface to the book, in which he states that we cannot penetrate emptiness. It is emptiness that penetrates us, pierces through us, and it’s not so much that it leaves emptiness behind. Emptiness means, in fact, fullness. It’s this Chinese adage, which I had read about during my PhD research: emptiness and fullness complement one another. One cannot exist without the other. This is, as Nancy demonstrates with several examples, clearer in the French language than in English. I was quite baffled when I read that section, and was then glad that I could speak French. Indeed, nothingness in French doesn’t come without fullness. Nancy points out that the French word rien (nothing) comes from Latin res, whose accusative rem became rien in French. In fact, res means thing. It doesn’t mean nothing. It means thing. In French, rien therefore only becomes nothingness if you negate it: “Il n’y a rien à dire” (there is nothing to say). If you don’t negate rien, it remains a positive word. In his introduction to the book, editor Itzhak Goldberg points out that (as I have previously argued in the context of Slow Cinema) the larger visibility of emptiness as a subject is, as such, not a recent phenomenon. Rather, emptiness has always been there, but external circumstances, such as the increased speed of our lives, make us more aware of the opposite: of slowness, of nothingness, emptiness. It’s like you searching for something to do when you’re bored. Nothingness gives way to fullness, and the other way around. In his online article about emptiness in art, André Rouillé argues – to me quite convincingly – that art has the opportunity to set itself apart from all other mediated images in a world full of images by putting emptiness (or nothingness) at their centre. According to Rouillé, the media are condemned to be fast all the time. It is about grabbing the spectator, about reporting first about an important event. It is, as he says, all about the spectacle, which makes me think of Guy Debord’s Society of the Spectacle and his own comments on it. In any case, Rouillé suggests that art can function as the antidote of this ever-increasing speed, which is being normalised by the (spectacle of the) media. I think what resonates strongly with Slow Cinema and my work on it, is a quote by Norman McLaren Goldberg uses in order to strengthen his own arguments of emptiness being a central part of art. McLaren famously said that it’s not the image that is important, but what can be found between the images. It’s not so much about showing, but about suggesting, and in order to suggest something on a screen, you have to use nothingness. you have to use the off, something that isn’t there, something that isn’t easy to grasp at first. A great deal of slow film directors use this strategy in order to engage the viewer in their films’ stories. 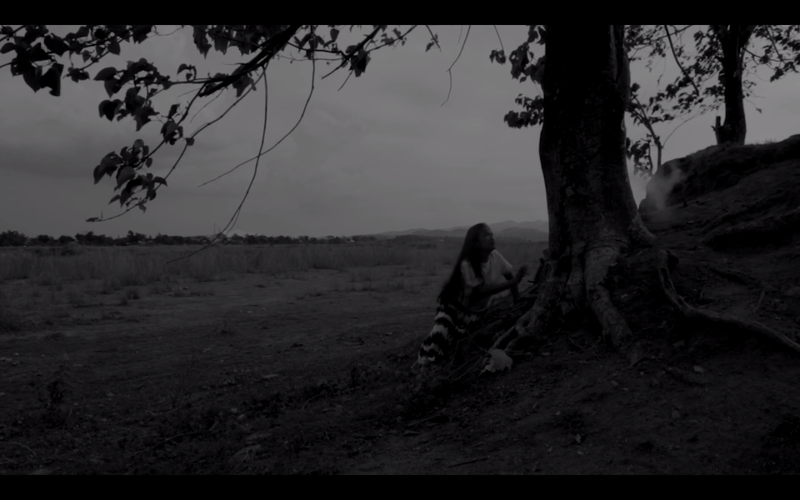 If I speak about the use of absence, as I have called it throughout my work, I inevitably think of Lav Diaz and his magnificent use of the off in order to suggest trauma and create an almost slo-mo progression of narrative. But, Goldberg argues correctly, the use of nothingness (or absence) confronts the viewer with problems. Goldberg does not go into detail here. Yet, I have argued elsewhere that the problem really comes from the fact that the viewer is conditioned. S/he is used to getting everything served on a silver platter, so that s/he can enjoy a film rather than have to work in order to “get it”. This conditioning is also the reason of slow films or “empty” artworks being rejected because they do not conform to what one is used to. In the end, Goldberg argues, this is a very Western attitude: seeing is believing. Something invisible doesn’t count, isn’t worth mentioning. I could go on about the introduction of the book, which is genuinely interesting and contains a lot of good points. But I would like to draw your attention to one chapter at least, which I found particularly fascinating. I have mentioned on this blog before that slowness/emptiness can be an antidote to anxiety induced by external factors. The hectic 24/7 we-are-always-live news is one example, but by far not the only one. What struck me in L’art du vide was the chapter on the American artist Jacques Brown, who was absolutely afraid of emptiness. He suffered from severe anxiety when he just saw an empty canvas. 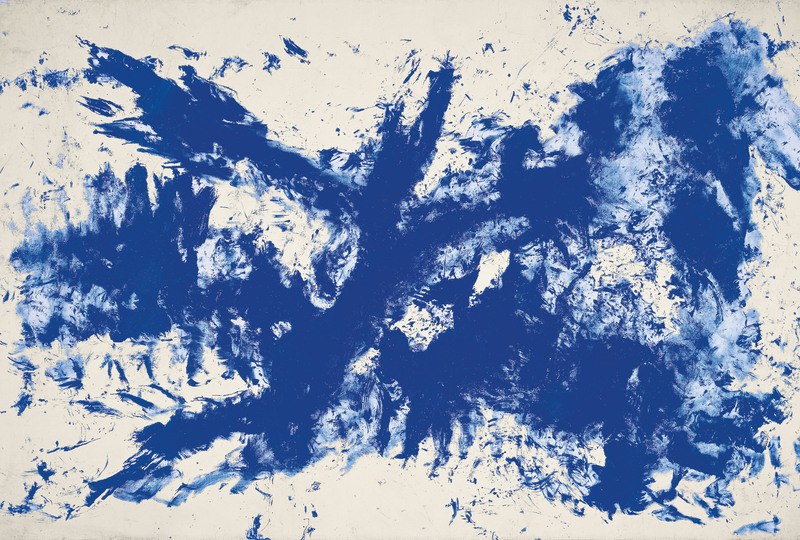 At one point, he wrote in his personal notes: “I died 36 times in this canvas.” He coudn’t deal with or handle a white page, an empty canvas, anything that was empty. It prevented him from creating something. If it created something, then it was utter fear and debilitating anxiety. So what did Brown do? He used old account books of his wife to draw on. Those pages were not white, not empty. He could draw freely on it without being inhibited by “the fear of emptiness”. In her superb chapter on the aesthetics of absence in contemporary art, Nadia Barrientos writes that absence forces us to shift our attention to something that had previously escaped us. Absence functions as a reminder of something previously forgotten, and to show us this something in a new light. Absence works like silence, which is often used to enhance what has been or what should be said. I have been fascinated by something I’d perhaps call “temporary art”; a work of art that disappears after a while. In some ways, those are wonderful examples of the interaction between fullness and emptiness, combining both to generate a powerful message. Barrientos mentions 2017 by Thai artist Pratchaya Phinthong, for instance, which is a sort of mural painting written with a special ink that slowly but surely disappears the longer it is exposed to daylight. This is not only about fullness and emptiness. It is, to me, a statement about forgetting, something that happens very slowly, almost invisible until one day a certain memory is gone. As Barrientos correctly points out, Phinthong’s artwork goes against the famous adage “the medium is the message”. Here, it is the process – of change, of forgetting – that is the message, and that stands above all and invites the viewers to reflect upon this. Nothingness, or emptiness, has, as this book shows, wide-ranging meaning. What stands out in all chapter is the idea that nothing doesn’t mean nothing. On the contrary, nothing always stands for something, and helps highlighting this particular something. The use of emptiness/absence is a way to engage a viewer, to reflect about major themes as large (but important) as humanity. Nothingness can be anxiety-inducing or soothing. It can be the centre of an artwork, or it can be one of many characteristics. Nothingness can be there from the start, or an artwork can disappear in front of a viewer’s eyes. This “nothing” is multi-facetted and more than just “nothing”. I think this is the easiest, and quickest (oh, the irony) way to describe this collection of essays! What follows are bits and pieces from an article I drafted six years ago about the Andrei Tarkovsky’s Zerkalo and Daniel Frampton’s filmind. At the time, I approached several scholars with some thoughts on the issue and have been met with hostility. Scholars were not open to it, found it ridiculous even or plainly told me that everything that needs to be said about Tarkosvky has been said. The result was that the draft I’m copying from for this blog post ended up in a cardboard box never to be touched again, half way forgotten until I rewatched the film on a big screen. When I reread the draft, I was struck by its focus on memory and trauma, which I was to develop in full in my PhD. Personally, that was interesting to see. I found the roots, or at least some roots of my PhD. So let me begin by explaining Frampton’s filmind, a concept which he developed in his book Filmosophy. Hugo Münsterberg already noted in his essay The Photoplay – A psychological Study (1916): “The photoplay obeys the laws of the mind rather than those of the outer world.” In a similar vein, Frampton considers film a thinking being, albeit he never actually equalises man and film. In fact, he stresses that film thinking is different from human thinking because first, it thinks in a different world (a film-world), and, second, it thinks in other dimensions. He grounds his arguments on complex research into previous suggestions by philosophers, psychologists and film theorists that there is a connection between film and the human mind. The filmind is the origin and source of all images and sounds. It creates and designs the film world, it makes decisions, and “serves itself, the drama, its characters, its narrator, or even an outside force other than just itself” (Frampton, 2006: 81). Every action we encounter is the direct result of dramatic film-thinking. It visualises ideas, feelings and emotions, which distinguishes it from human thinking. Frampton speaks of three types of film thinking: 1) basic film thinking (general design, b/w or colour, places objects and characters into film world); 2) formal film thinking (adds movement, framing, speed, angles etc); 3) fluid film thinking (special effects and distortions). Basic and formal film thinking are always closely related; fluid film thinking is not present in every film. It’s presence depends on the overall purpose of said film. Frampton gave film a hitherto unacknowledged human feature, and therefore releases it from the constraints of contemporary film analysis. If film is capable of thinking, if we assume that it possesses its own mind, then it is likewise capable of recollecting and remembering past events. I will explore the existence of the filmind in Tarkovsky’s Zerkalo in the following paragraphs and will look specifically at narrative construction, the use of colour, speed and sound. I will also demonstrate its ability to commemorate certain events. Again, this was written 6 years ago, but I now see very strong links to my later work concerning film and its ability to help commemorate and help start the healing process, both for the viewer and of the director. His autobiographical film Mirror was released in 1975, condemned as artistic failure in the USSR, acclaimed in the West. Following his idea of creating a new type of film, Mirror is a cinematic treatment of memory recollection through dream sequences and archive footage that trace the past of a dying man. It shows memories from his childhood prior to the Second World War, from his adolescence but it also reveals past-time experiences of Soviet society. The filmind obscures past and present events, and makes the first visible in that it deliberately undertakes an act of remembering, which, as Biró stresses in her book Turbulence and Flow in Film, is an intentional “attempt to recapture the past.” (2008: 84) The obscurity of it derives from its possibility to visualise memory in its purest form; twisted and conjured, expressed through a mixture of colour palettes and, often enough, a change of paces of past events. Mirror covers three distinct time spans; the mid-1930s, the time of the Second World War and the present day, presumably set in the 1970s. A direct translation from memory to moving image, Mirror juxtaposes scenes from all three times without giving clear signposts as to what era we find ourselves in. As Biró emphasises, signposts in form of intertitles, change of camera angle or a switch to a dramatic movement in music were inevitable at the age of silent films and early classic Hollywood productions. But, as she also points out, the lack of signposts in today’s films opens up a playful approach to linear narrative structure (2008:93). At the same time, it allows for a breaking of the cinematic spell in that it forces the filmgoer to actively interact with the elements he is presented with. Driven by unconscious frustration, he is required to arrange the plot elements chronologically and fill in gaps in order to create a solid story and thus achieve satisfaction from the narrative. Furthermore, for Tarkovsky, it is a step towards reality. In his book he poses the question of how it would be possible to “reproduce what a person sees within himself, all his dreams, both sleeping and waking.” (2008: 71) His answer is as simple as it is effective. The reproduction of a dream, or a memory, must be the exact copy of the natural phenomenon. Therefore, his filmind moves along the same asymmetric way as part of a journey in its inside. Except for the very last scene, the filmind’s journey into the protagonist’s memories starts and ends in the present to establish a framework for the Here and Now. It also reveals what triggers the memories: Alexei, the protagonist, whose lack of physical presence allows for substituting his mind with a filmind which takes the journey for him, lies on his deathbed. His son Ignat turns on the TV and we become witness of a young adult liberated from his stuttering through séance. It is an allegory to the already mentioned cinematic spell, which, too, is broken through first paralysing the filmgoer due to its different nature, then bringing him back into reality. What follows is a hardly clear-cut childhood memory of the protagonist, which again opens up a debate of the existence of a filmind. Maria sits on a fence outside her house looking across a field. A doctor approaches from afar and asks for the right way to Tomshino. He flirts with her, but his compliments fall on deaf ears. Maria rejects his advances, threatening to call her husband. Seeing that she doesn’t wear a ring, however, the doctor assumes she isn’t married at all. When he asks her for a cigarette, she turns around and watches her two children sleeping in a hammock. One of them is Alexei, the protagonist. His apparent inability to observe the situation prevents the filmgoer from connecting this memory with Alexei. It cannot be part of his memory, but that of a filmind, which takes over as an omniscient mind to broaden the perspective of the time. Frampton writes that “Integral to the power of the filmind is its knowledge of the whole – its transcendence” (2006: 84) and it can therefore visualise the memories not only of one character, but of an ensemble of characters. A further example is young Asafiev, a boy of Alexei’s age, who, after having thrown a deceptively real hand grenade into the firing range, is expelled from the place and leaves to climb up a small hill to look over the range. Having reached the top, a bird lands on his hat. Meanwhile, Alexei, as the protagonist, is still undertaking the shooting practice. He would have been unable to see, and therefore, remember the bird on Asafiev’s hat. Once again, it is the filmind with its knowledge of the whole, which gives us access to that specific memory. Likewise, the role of the newsreel images is vital as part of an omniscient presence. They are less an expression of personal memory, but that of a communal remembrance of a whole country. The first are almost violently interrupted by the latter in form of historical archive footage, which – contrary to the film’s structure – unravels in chronological order. Just as the film is set in separate times, so are the archival images. The pre-Second World War time shows images from the Spanish Civil War, a record-breaking Soviet balloon ascent as well as the successful flight over the North Pole by Valery Chkalov in 1937. The next set of footage includes the crossing of Lake Sivash in 1943, the liberation of Prague two years later and the iconic image of the Hiroshima bomb. All events result in either personal tragedy, as for example in the death of the balloon crew during their ascent, or one for a country, as it was the case with Spain and Japan. This is striking in that it expresses (a) haunted soul(s) as much as an imperative feature of memory; the tendency to remember events with a high emotional attachment more vividly than any other collected memory. Ochsner draws attention to the still valid hypothesis that “emotion will increase the distinctiveness with which an event is encoded in memory” (2000: 244) and that this distinctiveness is dependent on the amount of attributes available (Ibid). The newsreel images, illustrations of collective memory (see The Thought of Memory for further analysis), intensify the act of remembering because they arouse powerful, emotional attributes; pride and triumph, loss and sadness. Due to its fragmented structure, Mirror opposes the classic narrative cinema, which Hayward defines as “made up of motivated signs that lead the spectator through the story to its inevitable conclusion.” (2003: 46) The reason for this is Mirror’s similarity to the act of remembering. Memories are often recalled in fragments, which are neither in a clear temporal order nor with an apparent causality. Thus, the act of remembering seems to stand in stark contrast to a narrative. Causality and temporal order are vital for a conventional narrative. Thus, in the early days of classic Hollywood cinema plot and story were alike. Films like Welles’ Citizen Kane, however, challenged this pursuit in providing the filmgoer mainly with a plot and it was his or her task to create a story by rearranging the fragments into a temporal order and hence establish causality. Fragmented memories are akin to a plot, which doesn’t have an obvious narrative until, if needed and wanted, the remembering person puts them into a broader context of causality. As part of his intention to stick as close to the natural processes of memory, Tarkovsky structured Mirror through fragmented plot elements with an apparent absence of causality, and in so doing comes strikingly close to the real act of remembering. How it differs is in the filmind’s capacity to “think the slow fast, the loose tight, the small large, the loud quiet, the tame violent, and the mythic real.” (Framton, 2006: 81) Furthermore, as already mentioned above, the filmind is additionally capable of thinking in specific colour palettes depending on its intentions towards characters or its overall aim. Accordingly, I would like to focus on three major formal points of Tarkovsky’s Mirror with respect to Frampton’s proposition; the thought of colour, speed and the thought of sound. The act of remembering in Mirror is repeatedly linked to a feeling of loss and sadness, which continues to affect Alexei in the present. Consequently, the filmind tints all events set in the present in dull colours so as to underline both the protagonist’s detachment from his wife and his mother and, subsequent to his failing health, a lack of spirit. Mirror is a combination of both definitions, dependent on the type of past events the filmind remembers. Exemplary for Bordwell’s lyrical quality is a memory near the end of the film. Alexei’s father looks towards us. Then he turns around to stroke the hand of Maria. Instead of laying in bed, however, Maria levitates over it. In addition, Alexei recounts a recurrent dream. He is outside the old dacha, but is unable to enter it. The door opens several times and yet he seems to be prevented from entering by a mystic force. As indicated above, slow motion can equally express another, more challenging type of memory, illustrated, for instance, with Maria’s memory following her phone call to Alexei to tell him that her former co-worker Liza has died. Maria dreamed of having made a mistake in her proofreading. She returns to the printing house to check the proofreading once again. This scene not only poses a challenge to Maria, but also to her co-workers, who are frightened of a mistake in a very important edition of the paper, and who also realise the weight of an error as they had been printing all night, which would have made a correction impossible. Despite some memories being expressed in slow motion, lingering, as Bachelard describes it, is not exclusively tied to that form. The use of long takes as opposed to choppy cutting is another form of deceleration and therefore a demonstration of lingering, which can reinforce the challenges posed. A striking proof is Alexei’s memory of a hand grenade being thrown into the firing range during military instruction. The instructor throws himself on it. He lies in a foetal position covering the hand grenade and a bald patch on his head – presumably a scar from the war – reveals his increasing pulse rate, until Asafiev, the child who kept violating instructions, admits that the hand grenade is nothing but a dummy. Just as Biró emphasised, this specific memory exemplifies that lingering opens challenges (a hand grenade in a firing range full of children), contingencies (Does the grenade go off? Will the instructor die? ), and it brings decisions to the surface (The instructor chooses to sacrifice his life). It is here that the filmind expresses a memorable event by slowing it down in order to transmit the very danger of the situation, the fear and anxiety. Slowness is an expression of intensity. By enlarging the characters’ spatial and temporal awareness, the filmind defines the degree of suffering, despair and agitation. However, the filmind cannot only think the fast slow. It equally does so with sounds; asynchronous to the image or, in other situations, it accentuates them and excludes all other surrounding noises. The partially frightening memory of Maria’s washing her hair with the help of Alexei’s father is exemplary of the exclusion of noise. While seemingly enclosed in absolute silence, the filmind remembers clearly two distinct sounds: the hoot of an owl at night and the sound of water every time Maria puts her hands in, washes her hair and, in getting up, causes water dripping from her hair into the big basin underneath her. Here, the memory of sound and image is synchronous as both occur in slow motion. A contrast to this is the already mentioned memory of Maria’s in the printing house. Again, the filmind excludes all surrounding noises, apart from two distinct sounds: the sound of footsteps on the stone floor while Maria herself and Liza walk down the aisles. Both sound and image memory are synchronous. As soon as both walk past the printing machines, however, the filmind merely stresses the almost deafening noise of the machines and hence emphasises the turmoil Maria is in, supposing she made the mistake she had visualised at night. It is reinforced by opposing the slow motion visuals with the normal-paced rhythm of the machines. In addition, Frampton stresses that “filmosophy finds a thinking of (…) danger, a feeling, through sound, of danger – either thinking the character’s emotions or thinking its own knowledge.” (2006: 120) Therefore, it is the filmind that takes over the memory of the incident in the firing range. The drill instructor throws himself on the hand grenade, awaiting its explosion. Once again, all other sounds are minimised. The filmind but discloses the instructor’s heartbeat to aurally display his anxiety and consequently thinks the immediate danger (again, this cannot be Alexei’s memory, as it’s a personal feeling of the instructor). It is exemplary of the filmind’s ability to transmit the “selective, perceptive thinking of a character’s subjectivity.” (Frampton, 2006: 121) In this particular memory, again the filmind doesn’t express the protagonist’s mind, but more accurately it bears the instructor’s near-death experience. Perceptive thinking is, as slowness, an indication for a memory’s intensity. In filtering the sound of the heartbeat from all other irrelevant sounds, the filmind accentuates the almost unbearable loudness of life in an ostensibly fatal situation. Mirror’s filmind embodies what is called autobiographical memory. As demonstrated above, the filmind acts as a catalyst of individual recollections from the past and in so doing makes the absent present. Conway and Rubin highlight that “event specific knowledge [a level of autobiographic memory] tends to take the form of images, feelings, and highly specific details indicating the retention of sensory details of objects and actions in a general event.” (1994: 107) Reasonably, through the thought of colour, selective sound and the alteration of slowness and normal-paced rhythms the filmind visualises fragmented memory traces of a character. The newsreel images the filmind employs have two specific purposes. First, it connects the characters in providing images of collective Soviet memory. The successful crossing of the North Pole by Chkalov was a moment of Soviet pride as well as the balloon ascent in the race for the conquest of the sky against America. And even though most of the soldiers died in the crossing of Lake Sivash, it is yet another symbol of a proud nation because it demonstrates the period of the Great Patriotic War against Nazi Germany. The filmind’s utilization of these images not only acts as a linkage between the characters, but it also links them to history instead of seeing them as separate entities. Second, and most strikingly of all, the filmind expands this linkage to people around the world and therefore also to the filmgoer. It goes beyond the creation of a collective memory for Soviet society and shows newsreel images, which form a global collective memory, including the filmgoer as (and invites him to be) an active participant in recollecting and remembering the celebrations at the end of the Second World War, the extortionate destruction the nuclear bomb brought over Hiroshima and Mao’s revolution in China. In so doing, the filmind doesn’t leave the filmgoer as a passive spectator behind, but instead includes him indirectly in the film-world as he is strongly bonded with the characters in the process of remembering. After all, there remains one crucial question to answer. If the existence of a filmind in Tarkovsky’s Mirror seems to be an obvious fact in my analysis, does it serve as a demonstration that all films are steered by a filmind? The answer is twofold. Frampton theorized the concept of filmosophy to “reveal the complexity of film” (2006: 108) in an attempt to “organicise rather than technicise the filmgoer’s experience of cinema.” (Ibid., 106-107) His concept aims for a more liberated way of seeing films and thus for a proposition the filmgoer can either accept or reject. He describes the framework of filmind and film-thinking as a “conceptual ladder, to be climbed and then kicked away…it is a decision by filmgoers whether to use this concept when experiencing a film.” (Ibid., 98-99) He argues that his idea of seeing film as film is not a default state, but a mere attempt to show that allowing space for the existence of a filmind can enhance the cinematic experience of filmgoers. However, although obviously intending to render film extraordinary in liberating it from contemporary semiotic and empirical analysis, he simultaneously creates yet another homogenous framework in applying his concept on a vast variety of films covering all genres. In so doing, Frampton develops a rather generic schema. My argument is that of freedom of choice for the filmgoer. Indeed, as Frampton points out, Filmosophy is a proposition to the filmgoer. He alone decides whether or not he accepts the presence of a filmind. Like any other cinematic experience, this is based on individuality rather than conformity. Not only do historical and social contexts influence a willingness to break the cinematic spell. Accepting a filmind is as much dependent on the filmgoer’s individual and unique life experience, desires and interests. Tarkovsky’s Mirror bypasses this by giving neither the director nor the protagonist a visibly strong presence, and moreover by using only a small amount of subtle signifiers so as to allow the filmgoer where he wants to take the narrative to without directly interfering in his choice. Similar to the nature of memory, Mirror does not have a meaning, but many possible viewpoints, which evolve independently in the filmgoer himself. Thirty years prior to the release of Frampton’s Filmosophy, Tarkovsky created with Mirror a film(ind) that is already rooted in the pursuit of film as having its own life independent of the director, which is capable of creating a film-world through its own characteristic thinking process. A small book at the bottom of a shelf that is overwhelmed with books on the big names of Hollywood; films, directors, actresses. There, somewhere in between those oversized books, I found the new book on Chantal Akerman, smaller than A5 in size, almost invisible. Written by Corinne Rondeau, this French-language book is the latest work on the Belgian director. Without being too analytical, Rondeau makes reading the book an experience just as watching a film by Akerman is an experience. Rondeau’s work is poetic in writing, often following a chain of thoughts as they come into her head. Her writing suggests continuous movement, circular movement at times, rather than chopped off pieces of thoughts that appear for no reason. In her little book Chantal Akerman, Passer la nuit (2017), Rondeau suggests that it is futile to see Akerman’s work only in the context of her family’s traumatic past during the Second World War, the silence in the family that had affected her deeply, and her suicide in 2015. Even though, she argues, it is important – and she herself, in fact, returns over and over the aspect of silence as a result of history – it is not adequate, not productive, to consider Akerman’s oeuvre entirely as a result of that. A fair point, given that it is always futile to look at something from a single perspective. Rondeau sets an example, looking even at the small things. Her chapter headings are fascinating at the beginning, simply called “encore” (again) or “où” (where), chapters in which she brings to the fore the essence of Akerman’s work, I find. There is plenty I would like to mention, but I will point to only a few arguments Rondeau makes, and leave it up to my French-speaking readers to get their hands on the book. The first argument, which I thoroughly liked, is Rondeau’s explicit view of Akerman working in the context of the words “nothing”, “blank”, and “gap”. These terms appear over and over in Akerman’s films, as visual demonstrations rather than spoken words. Indeed, I find that these terms are particularly prominent in the films I’m interested in: Là bas, D’Est, No Home Movie. Although Rondeau refuses to read those films exclusively in the context of a traumatic family history, these three films are important in the context of memory, memory lapses, the silencing and suppression of traumatic events. It is impossible not to read them in this context, perhaps in the context of the second and third generation attempting to dig up the past that has formed them, affected them in the way they think, feel and behave. Perhaps, this way of thinking, my thinking, makes me feel so strongly about Rondeau’s description of Akerman’s films: “une nuit qui tombe peu à peu”, a slow nightfall. With No Home Movie, night has fallen. Rondeau argues that it is obstacles that really help us to find a way, and it is silence that help us to find words. Akerman, according to her, makes use of this logic, and uses a kind of aesthetic that she describes as “suspense in absentia”. Tension is there, but it’s not overt. It’s the main ingredient of her films without putting it on the films’ sleeves, so to speak. Tension is present and absent, just like trauma, which disrupts time and space. This “suspense in absentia” is not only characteristic of Akerman’s work, but Rondeau has unwillingly characterised a large number of slow or contemplative films that use this aesthetics. 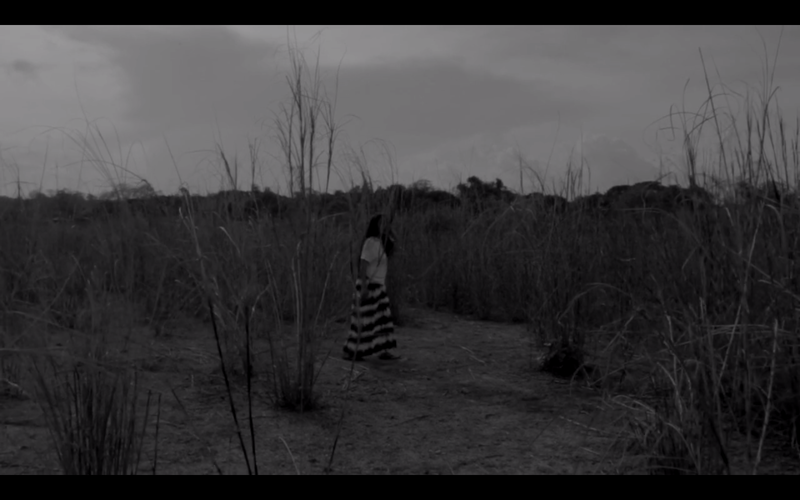 I described it, though in other words, in my work on Lav Diaz. Béla Tarr’s films centre around this absent-present tension as well as more recent works. I’m thinking in particular of the works by Scott Barley and Enzo Cillo, whose videos make this covert tension palpable. While reading the book, I came across several instances which contradict Rondeau’s initial claim that it was futile to see Akerman’s work exclusively in the context of trauma. And yet, she herself writes about it without mentioning the term. It is more by describing Akerman’s aesthetics that she gets to the bottom of the nature of trauma, which she, at the beginning of the book, so vehemently rejected as the sole centre of the director’s oeuvre. She mentions another characteristic of Akerman’s films: “on s’approche en s’éloignant”. We approach something by distancing ourselves. This is very much an extension of her notes about silence as a necessity to find words, and obstacles as a necessity to find a way. One is important in order to reach the other. The idea of approach through distance reminded me strongly, again, of the nature of trauma. You dig in your memories to find something. While speaking about it, you come closer and closer to the actual painful event, but you often bounce back, you distance yourself, precisely because it causes you pain. Approach versus distance, distance versus approach. “Où vont les images?” Where do the images go? According to Rondeau, Akerman’s oeuvre centres around this very question. Why do all images move towards the night? Or “How can you remember something that you yourself haven’t experienced?” as Akerman formulated it. Rondeau identifies the circle as one of several main elements that appear over and over again in Akerman’s work, which to me, once more, is the perfect symbol of how the director deals with the effects of her family’s traumatic history. As much as Rondeau would like to disconnect one from the other, it is impossible to do so. 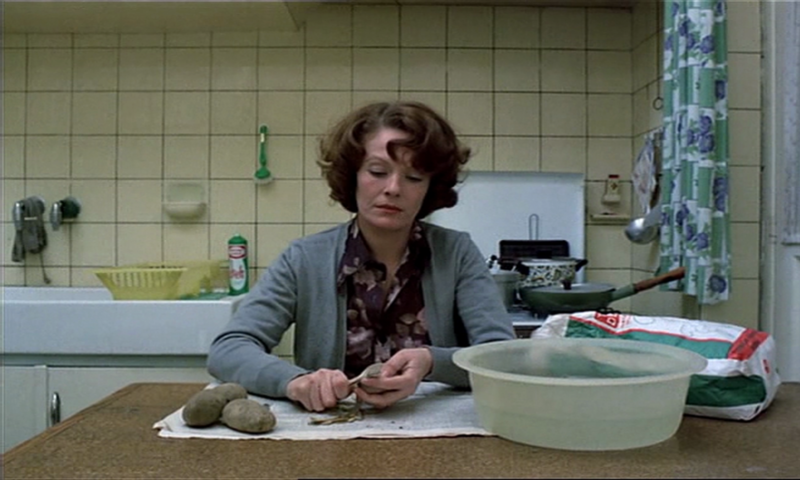 This is the one thing that I did not like about the book; the forced attempt of disconnecting the symbols Rondeau identifies in Akerman’s work from the nature of trauma, which is so dominant in the director’s films. Nevertheless, Rondeau’s book adds a lot of good stuff to existing writings on Akerman. The way it is written – in a fluid, poetic style – makes it a pleasure to read. The book takes you on a journey and makes you hungry, I find, to see more of Akerman’s films. I haven’t seen her complete oeuvre yet, but am very much aiming for doing exactly that! I’m very pleased to announce that tao films VoD is now live after a year of hard work. It is a project I’m particularly proud of. Since midnight CET, you can now stream six selected films from around the world, and you can do so until 31 March 2017. If these six films sound appealing to you, please join us on tao films. You can watch trailers of the films and read the full interviews with our selected directors. A feature film costs 4.99€ and a short film costs 1.99€. We have a special package price, which gives you access to all six films for 17.99€. Please note that our platform aims to support the directors and their new films. Two-thirds of the profits go directly to the directors. I’m looking forward to welcoming you on tao films!